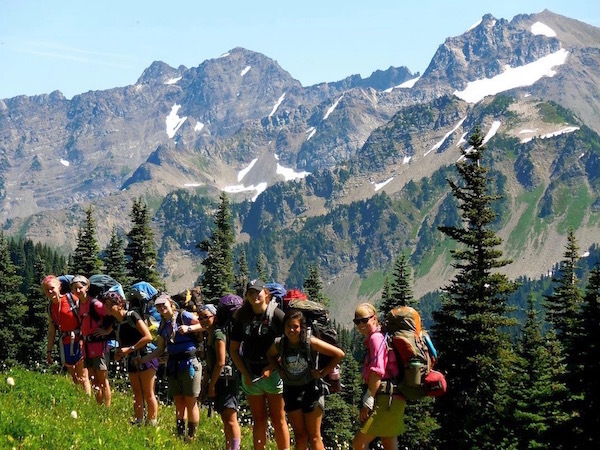 Alpengirl offers several overnight adventure camps for girls in Washington. 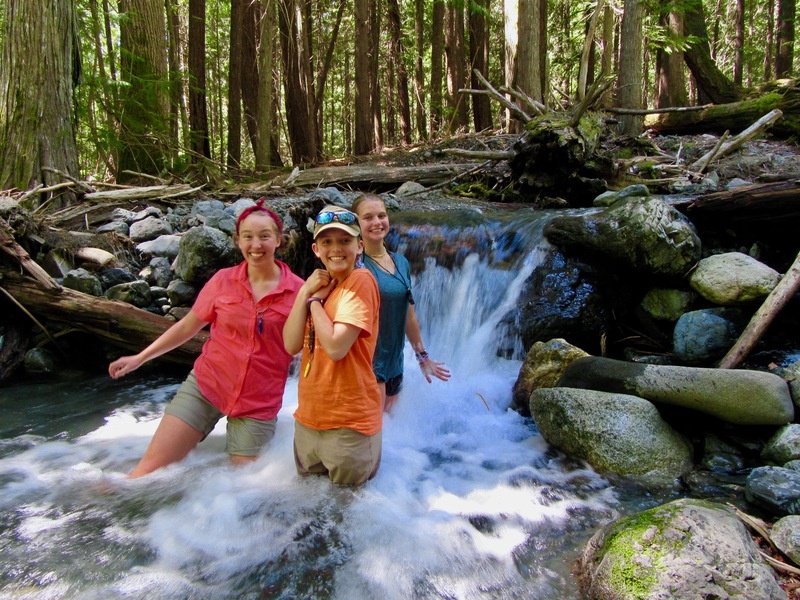 Preteen and teen girls ages 11 thru 16 have a choice of adventure camps that range from 1-2 weeks duration. 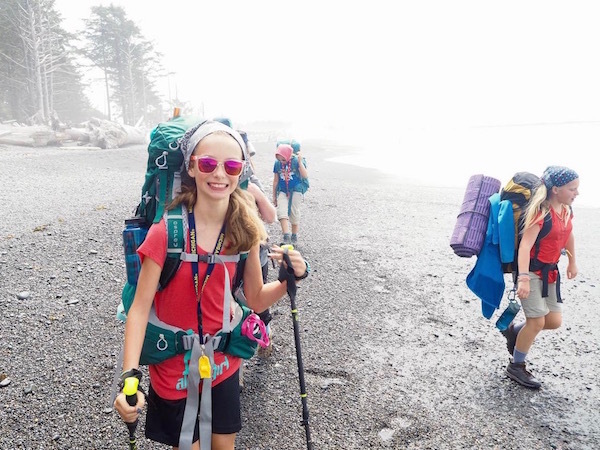 Our Washington summer camps for girls begin in Seattle, WA and include adventure travel and camping across western Washington state from Seattle and Bellingham to the San Juan Islands and Winthrop and all the way to the farthest Pacific Northwest corner of WA state at La Push and the farthest southwest corner at Long Beach before heading back to Seattle for an end of camp celebration. 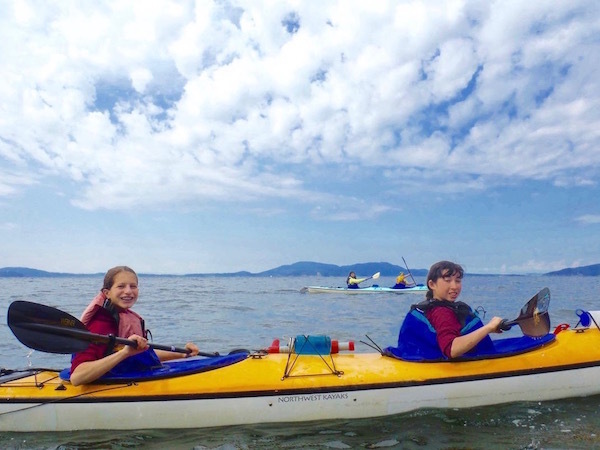 The best part about joining in on a summer camp in Washington with Alpengirl is our featured outdoor adventure activity: sea kayaking in the Salish Sea and beach camping. The Salish Sea is a collection of interconnected straits, sounds and inlets which includes Puget Sound, the Strait of Juan de Fuca, and the Strait of Georgia. The Salish Sea term was adopted as an attempt to raise consciousness about taking care of the region's waters and ecosystems. The term honors the Coast Salish, the indigenous peoples who live in southwest British Columbia and northwest Washington along the Salish Sea and share a common linguistic and cultural origin. 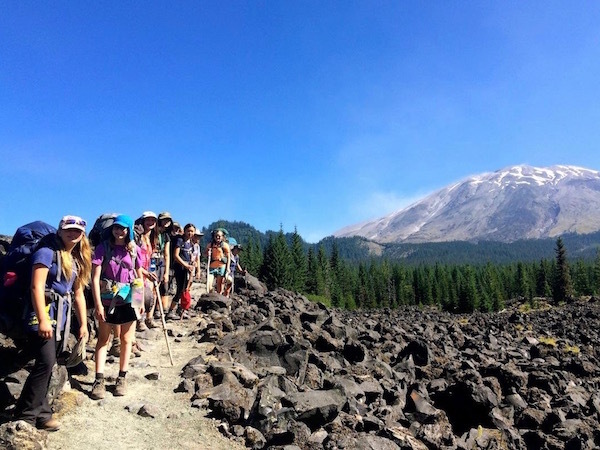 There’s lots more to do in Washington with Alpengirl Camps this summer! Horseback riding in Winthrop, white water rafting on the White Salmon River in the Columbia River Gorge area and on the Sauk River near Darrington, rock climbing at Mt Erie in Anacortes, camping in the San Juan Islands, backpacking in Olympic National Park, hiking in the Hoh Rainforest and tide pooling at Rialto Beach near Forks.